I did peritoneal dialysis when I was first diagnosed with kidney failure. It was good because I could do it at home. It only lasted one year until my kidneys were finished. I am now on hemodialysis and have been for six months. I am now training to do this at home as well. It will be good doing it a home and not having to go to the hospital every day for treatment. I am now on the transplant list but to be honest, the complications with that (medication side effects), make it that I'm not sure if I even want to go that route. I could live a normal life with dialysis as long as I'm careful with my fluid intake which is the only problem I seem to still be having. Once every couple of months I have to have an ultrafiltration (UF) treatment only to get off the excess water that I can't get off with dialysis. It seems my tissue is not allowing the dialysis to get the water. It is not shifting to be removed. So right now, they are doing the UF alone treatment which takes the excess off and I start fresh again until it slowly starts to build. They just told me yesterday, this up and down with water build up will start (and probably has already) to take its toll on my heart. I'm now having a lot of heart palpitations on top of everything else. But, we will see! About 3 weeks ago I went to my primary care physician (PCP) and told him I thought I was developing bronchitis. I have had it twice already this year. He told me he believed it was adult onset allergies. I continued to cough and cough and feel progressively worse. Last week I went to my gynecologist and she listened to my lungs, advised me to have an x-ray. I was diagnosed with pneumonia. She wanted me to go back to my PCP and show him the x-ray. He did another x-ray (after being on antibiotics for less than 48 hours) and told me my lungs were clear as a bell and that I should not be doctor hopping. He does not perform Pap smears, breast exams, etc., so I have to go to a gynecologist. I am still coughing although less than before the medication. I want to know if I should believe that my lungs are already clear and does that mean I am well. Because I don't feel well. I am to take the medicines for 10 days. I had three to four cans of light tuna for a period of four months. Followed by seven to eight cans of white albacore tuna per week for another five months. I thought it was healthy. My health rapidly deteriorated. Bleeding from my kidneys, tinnitus, partial numbness in both hands and feet, fainting, dizziness, hand tremors, heart problems, patches of body hair missing from my legs, severe fatigue, easy bruising, difficulty thinking clearly, fits of unexplained anger, and insomnia. Tinnitus and fatigue were the first symptoms I noticed. I still have tinnitus and numbness in my extremities. There should be warning labels on canned tuna. I've begun researching and writing about it. My mum only has one kidney and when that stopped working doctors could find no reason for it. As a last ditch attempt they fitted a stent and miraculously it started to work again. Unfortunately it is happened several times in the last couple of years but each time the stent is replaced and it goes again. I'm 53 and female, also a nurse for 15 years, still did not know symptoms of kidney disease, I do now. When I spoke with doctors they were not helpful, they just say eat a good diet and we will put you on dialysis. Here's what I do know, diet is critical, supplements are critical; L-carnitine, melatonin, magnesium and vitamin D3. Please, very little protein, very minimal dairy and yes your life changes forever. I have chemotherapy related kidney disease, have been cancer free for 4 years and now I have kidney disease stage 3. Do not take Tylenol, or ibuprofen or antibiotics while you have kidney disease, it can and will finish them off. I designed my own protocol, no doctor. I did a lot of research and consulted with naturopaths. I know I ended up in kidney failure due to medical mal, so why should I trust doctors now? My kidney eGFR has been as low as 16. Now it has gone up to 18. I run every day, enjoy life, and I work full time. My weight is stable. My blood pressure is fine. I cured the anemia and now and working on keeping the phosphorus low. Feel like I am in the prime of my life at 61. Plan to refuse dialysis. My in-law has sugar. He's been having problems with legs swelling, dried skin and has been on and off antibiotics. He has kidney failure and went in twice for a transplant, only each time something stopped the operation! Stay strong. I have had kidney cancer and you should know that you do not present like any cancer patient. I went from 107 pounds to 325 lb. in 6 months. I threw up everything I ate and my doctor gave me antidepressants because I told him I was throwing up, but yet I was gaining weight. I insisted after 6 months that he start looking for something else, I was not depressed, I was sick. I finally walked into his office one day happily eating a burger and threw up all over his floor. I told him to get some tests done, and that I would find myself a doctor who did care about my health, as opposed to thinking I was depressed. Needless to say I received the test I needed, the MRI immediately, and within 3 weeks my kidney was being removed. So losing weight is not necessarily the only indication that you have cancer, be firm and demanding. Do not let a doctor blow you off, and take charge of your own health. They don't know everything, you know your body better than anyone else. My mum is in a stage 4 palliative care facility with broken C4. She is calling me to find out what is wrong with her. She doesn't hear very well anymore. I live far away, she said her doctor can't do anymore for her, and her kidneys are shutting down. I can't get any information till I fly down in 2 days. This message is for Sonny (male 45-54) and posted May 26. The heartburn is definitely from the drug Olmetec. Please tell your doctor to change to a different medication because it will only get worse. I developed heartburn after taking Olmetec and more than 6 months after stopping this drug the pain continues. I now need to see a gastroenterologist to find out what is causing the pain since it persists even with heartburn medications. You may have to go that route if the heartburn persists after you stop the Olmetec. I wish you well. My dad was on peritoneal and hemodialysis for years and they removed at least one if not both kidneys. He passed away when he was 51 years old. I was admitted to the hospital for 6 days in kidney failure that started as an infection. I had high fever, nausea, chills and my blood pressure and oxygen dropped really low. The doctors kept a constant supply of antibiotics and other fluids going until that caused problems with pseudo cerebri tumor. I had horrible headache, rushing sounds in ears that is caused by too much spinal fluid in the brain. The pain doesn't go away even with strong pain medications. I had to beg and plead to be put on Lasix, they finally agreed the headache that lasted for days was finally gone within hours. Recently my feet were very swollen and trying to lay down I felt like I was suffocating. This started a day after dental surgery. After 3 days I went in to urgent care most of my labs and x-ray came back good, they put me on Lasix again by the next day I was starting to feel better. I have Wegener's and Rhodatarula. 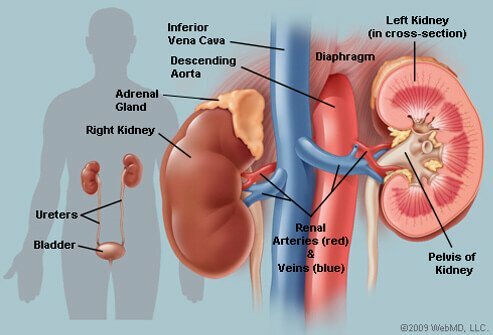 My kidneys are at stage three and I have chronic kidney dysfunction, anemia and arrhythmia. I stopped all medication 16 months ago because my kidneys couldn't cope and I was dying. I have been doing therapeutic riding for two years now and have been able to bring all my levels down to almost near normal. 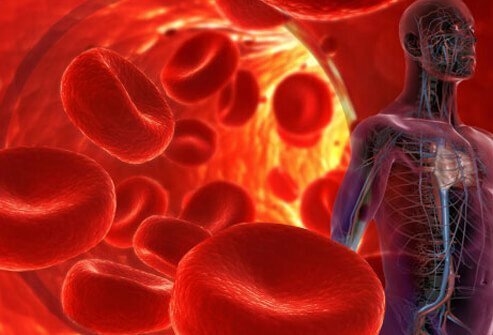 The tremendous flow of oxygenated blood and the production of red blood cells and the removal of toxins has helped remove pain, slow the progression of the virus, lower blood levels and lead to a better quality of life. It is still an investigation but it is working for me and two others who had given up hope. My friend only has one kidney and when that stopped working doctors could find no reason for it. As a last ditch attempt they fitted a stent and miraculously it started to work again. I have just been told today my kidneys have been damaged through Voltarol which I have been taking for years. I have been told to have blood tests every month so the doctor can monitor it. I have a chronic back problem, the treatment of which has caused this kidney failure. I'm 41 with stage 3, borderline stage 4, renal failure. The western doctors didn't tell me much other than stay away from ibuprofen and watch your diet. What has been a life changer in terms of how I feel, is acupuncture. Since receiving treatments, I'm no longer sick and missing work. I still have bad days, though, especially if I skip my acupuncture treatments. I'm also taking Rehmannia 8 (jin gui shen qi wan), which helps me not to feel so cold all the time. I also stopped drinking alcohol. I am a 68 year old white male weighing 290.I am 6'4" and played sports all my life and have a large frame. I carry my weight well. I have type 1 diabetes. I try to eat properly. I work out 3/4 times a week in the pool. My kidneys are working at 35 percent says specialist last week. Dialysis is in the future for sure. I never smoked or drink. Was always fit. Married 48 years. It does matter how you live your life in order to control your fate. Try to watch your diet and lose weight. I know how hard it is. I had a lap band inserted 2 years ago and it is ok but I still worry about my weight. Test daily and take your insulin although you may feel that you do not need any (even without carbs intake) trust me you will no matter what you eat. I was sick to my stomach and had a severe headache for a whole day. I went to the ER and they said I had a bladder infection and sent me home on the antibiotic called Cypro. After taking that for a few days, I felt worse. I had an aching pain in my lower back and a feeling of being extremely full in my stomach and chest area, as well as rapid heartbeats. Went back to ER and had a blood test and MRI w/dye and found out the dye is not good for kidneys. My kidneys were functioning at 23. They should be around 60 and that at that point I was in kidney failure. I was admitted to the hosp and put on intravenous fluids to flush my kidneys and hydrate, and antibiotics for 4 days. By the 5th day, they dropped the fluids and said I could go home since my levels were getting better each day. I did not have to go on dialysis. Currently working with a kidney specialist and getting more blood work and urine tests done in a couple of weeks to check for protein levels, etc. Hopefully everything will be fine. My mom is suffering from kidney failure and has pretty much given up. She is morbidly obese, diabetic, asthmatic, her swelling is severe, and she can't walk to the bathroom by herself. The doctor says she can go either way but she has to want to get better. He says that she will need to lose a minimum of 100 pounds if she wants to improve, but she refuses to eat the low sodium and low fat foods. She basically just wants to lie in bed and die while eating potato chips and french fries. My father is in denial and thinks she is going to magically walk out of her bedroom one day. My sisters and I are fighting because everyone thinks they know better. I just don't know what to do anymore. It is so terrible. My 90 year old mom has kidney failure of some point. She had loss of appetite tired all the time. While in the hospital she had a mild heart attack the doctors said there's nothing more they can do. Now she's eating better and drinking more water. I am a 42 year old male. In 1989 I received a living related transplant when my kidneys failed. I went directly to transplant with no dialysis between failure and transplant surgery. In 2007 my transplanted kidney failed. I ended up on dialysis for two years until I received a living non-related transplant in 2009. Hi everyone I'm at a stage 3 kidney failure right now with. My GFR is at 31 right now. Seems to be steady at that for the last couple months since ive been taking high blood pressure pills. ***Olmetec Plus 40mg*** doctors still don't know what's causing it which is really annoying me as I want my life back and want to get back to work. I'm sure I already know what's wrong but the doctors don't seem to be listening. I have some sort of blockage peeing. Everything was negative for cancer or prostate. I also had a ***pee flow test** which they say was normal. I can't force pee out which I think is the problem my bladder empties ok but just at a slow rate I can't force it out. something new came up today is a fever and aching back and serious heart burn which I think is the high blood pressure pills that is causing the heart burn. If anyone has any info on this would really appreciate some feedback. Thanks again. After suffering from severe lower back ache for some days and feeling very tired and sleeping all the time, I went to see my GP. He sent me to hospital as my tummy had swelled up as well. They took my blood and came back and told me I was in liver failure. I was sent to a ward and put on a drip and all sorts of medications. I couldn't even pass urine. One day I had a seizure and I was rushed to another hospital for dialysis. After 3 days I woke up, confused! They had just saved my life. After I was returned to my own general hospital, I was told all this was due to ALCOHOL! I had been drinking for about 20 years. I stopped of course. I have now fully recovered but will never drink again! I have continuous kidney infections. I am taking Metoprolol and Warfarin for a stroke I had in October. I was admitted to the hospitsl emergency with a severe UTI, but it turned into a stroke when I was transferred to another hospital where I stayed for three days and released infomation that I have Atrial fibrillation. I am 76 yrs old, a female and was not on any prescription drugs before the stroke and hospitlization. My husband has Chronic Heart Failure and Diabetes and he has now been diagnosed with kidney problems. He had a defibrillator inserted last year for his heart failure. He presently suffers hay fever like symptoms, itches all over his torso, shins and arms. The doctor prescribed Cortisone cream for irritation. He is tired, sleeps most of the day. Mobility is limited. He has back ache and is irritable. His medications for diabetes (Metformin) and heart failure have been reduced and Lasik reduced, but now he has trouble urinating. The doctor juggles between the problems. My husband took himself off Nexium for ulcers as these were making him nauseous. He has been eating a little better since. Hard to get recipes that cater to all his problems. He drinks only water and black tea. A milk shake is a treat. By the time it was diagnosed, I had stage 3 kidney disease. Now doc's call it kidney failure. Don't see any difference. No treatment given just my own discipline to keep on the diet .I have many other conditions, and I am old. It is not easy worst is when I get the flu, I don't get no prescriptions not even for a half baby Aspirin. As far as I know Tylenol is as harmful as an aspirin, but aspirin helps subdue pain, Tylenol is for the birds.